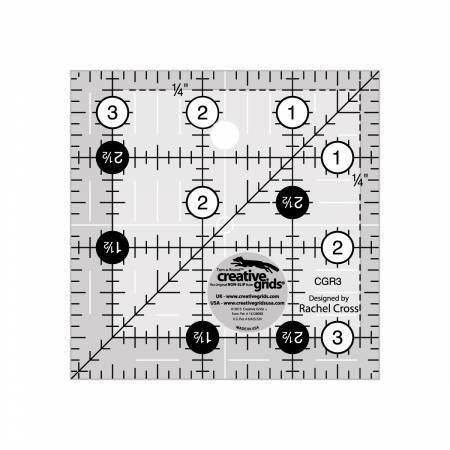 CGR 3.5x3.5" Ruler- Easy-to-read black & white markings. 1in grid with 1/8in& 1/4in increments. Use numerical white dots and 1/4in gripsides to cut whole inches. Turn-a-Round to use the 1/2ingrip side & numerical black dots to add the seam allowance. Gripper holds fabric while cutting.